I have been in practice for nearly twenty years. I practice primarily at Morgan County Chiropractic and in addition see patients at Anderson County Family Chiropractic. 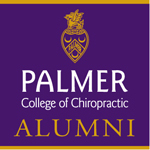 I grew up in Harrogate, TN and went to college at Lincoln Memorial University and then off to graduate school at Palmer College of Chiropractic which is the fountainhead of chiropractic. 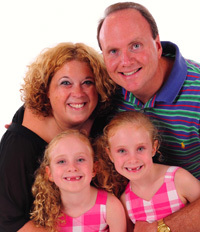 I have a wonderful family which includes: my wife Dr. Jacqueline Berk and my twin daughters Alexis and Madison. Family time is very important to me and we have many interests together: biking, boating, sports, and traveling.Not to mention just good ole one on one time. Since I was probably twelve years old I knew what career path I was destined for. I watched my father and grandfather battle multiple back surgeries with little success and I knew there had to be other options for people in need and after much research Chiropractic was the best answer. My goal is to provide you with the best personalized and effective care I can in order to help you achieve your health goals. I fell in love with chiropractic and the rest they say is history! Please contact me at Anderson County Chiropractic or Morgan County Chiropractic to schedule your appointment today.